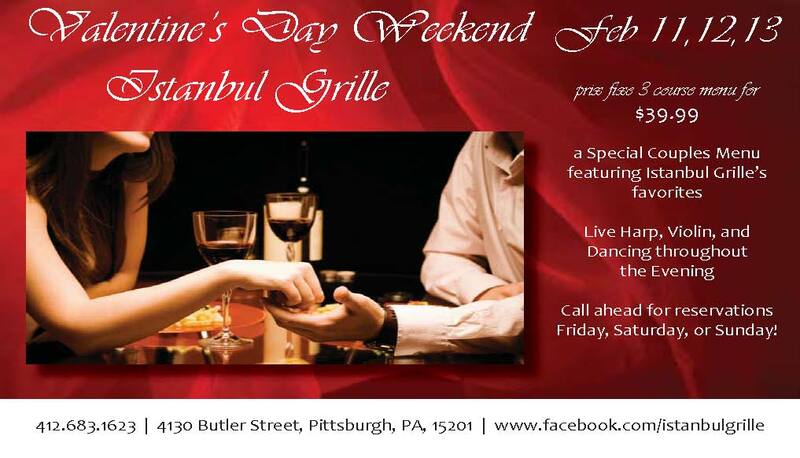 Valentine’s Day Weekend at Istanbul Grille! 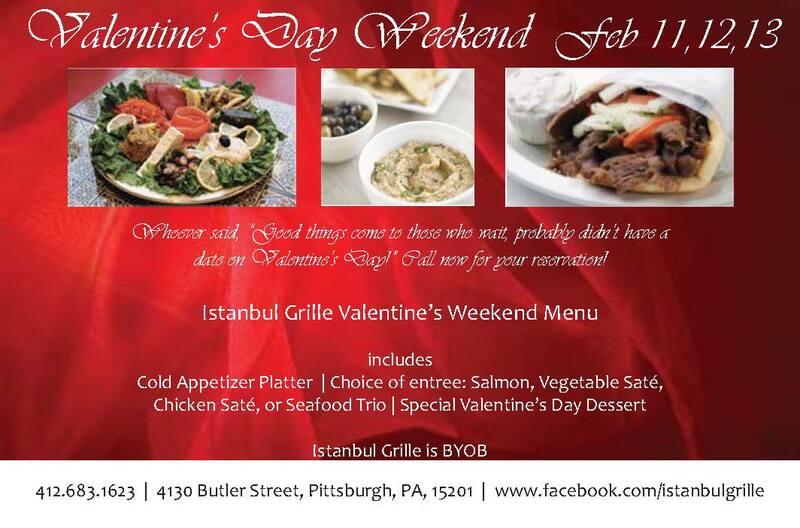 Call now for your reservation for Feb 11, 12, or 13! Call ahead for reservations Friday, Saturday, or Sunday! Previous PostPrevious Bella for sale! Next PostNext March 5th with Lisa Zahiya in the ‘Burgh approaches!